Nintendo's insistence on doing the Wii's online itself hurt the console, says CEO Satoru Iwata, but things will be different for its successor. While last-generation consoles experimented with online play, it wasn't until the current generation that online gaming on consoles became the norm. The Xbox 360 triumphed with (the horrifically immature) Xbox Live, the PS3 had a respectable showing with PSN (aside from one or two little issues), and the Wii ... let people play online. Sort of. It's no secret to gamers that the Wii's online offerings were by far the weakest of the Big Three consoles, and Nintendo knows it too. In an online Q&A for investors, Nintendo boss Satoru Iwata admitted that the Wii's online wasn't up to snuff. The reason, he says, was because the house of Mario insisted on doing the online network its own way rather than contracting experts. "In the field of networks ... I admit that we cannot do business in pace with the changes in the world and the requests from consumers only within our company and with development companies we have long been in touch with," said Iwata. "Wii's future could have been different if Nintendo had made better partnerships with outside companies in the field of network services at the early stages of the penetration of Wii." 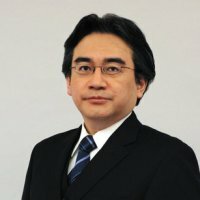 It is important for Nintendo, said Iwata, to recognize what the company can do itself and what would be better off if given to external teams with precisely that sort of expertise. However, Iwata also said that it was a problem that he hoped Nintendo had overcome with the 3DS and the successor to the Wii, given a development codename of Project Cafe. "You may be aware of some features which I am implying now in relation to the future developments of Nintendo 3DS and Wii's successor system that we announced yesterday. I am sorry I cannot say anything more specific today." One tip, Mr. Iwata, would be to just ditch the Friend Code system Nintendo insists on using. Nobody likes it, and judging by Xbox Live kids are going to be playing online no matter what you guys do.